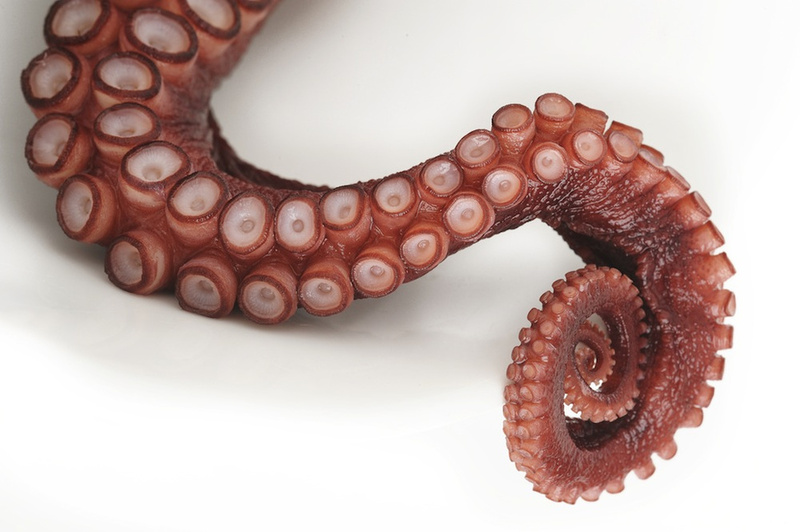 A recent io9.com article professes that "Detatched [sic] octopus arms show awareness, react to danger." Read more here! 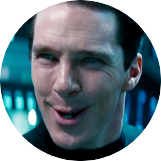 Little more to say about the "Benedict Cumberbatch Name Generator" other than to go try it out here! According to the Unbelievable Facts Tumblr site, "A man, named Jerry Gretzinger, has been drawing a map of an imaginary world for over 50 years." See more here! Over on the Live Science website, there is an interesting article on the divergence of British and American English pronunciations. Read more here! It's been a couple of decades since any claims of Morag of Loch Morar sightings have been reported. Read more here! Want a little help describing a very iconic D&D monster with a view to a kill? 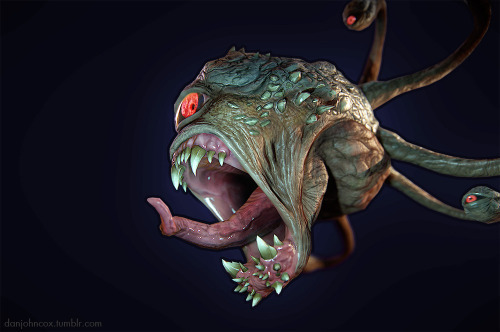 Check out Dan John Cox's version of a beholder over on his art website here! 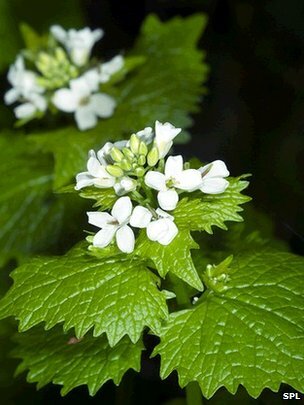 A recent article on BBC.co.UK passes on the postulation that prehistoric Europeans spiced their foods. Read more here! Over on RawStory.com, there is a recent article titled "Ancient tomb confirms powerful priestess ruled Peru long ago." See more here! Over on the NBCNews.com website is a recent article titled "Glue-spitting velvet worms: There are more out there than you think." See more here! There is a recent article on SofiaGlobe.com titled "14th-century poison ring found near Bulgaria’s Kavarna." Read more here! 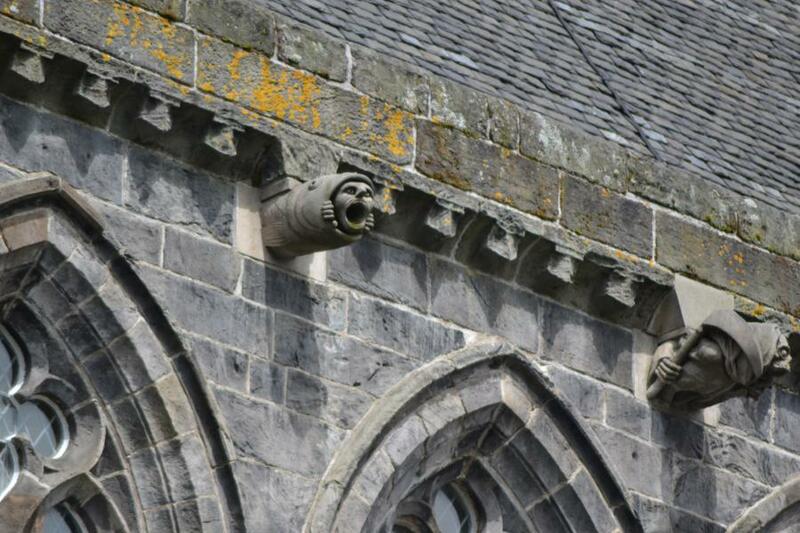 Paisley Abbey has some fantastic gargoyles. See them here! 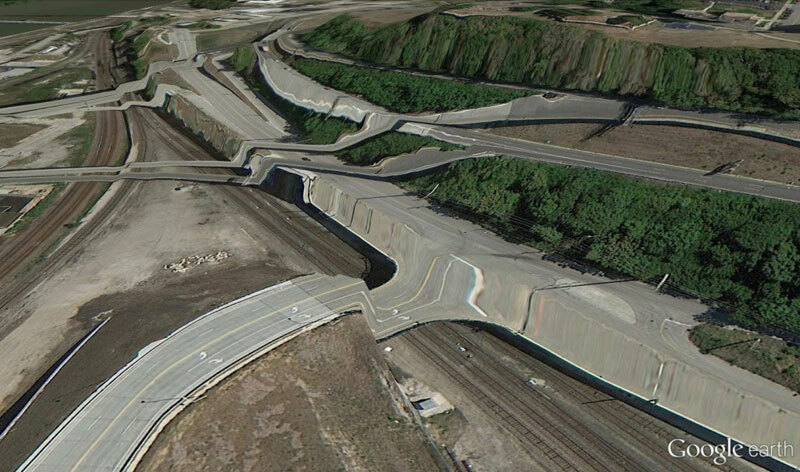 A friend of mine pointed me toward an interesting article on Google Earth and how it has trouble applying flat images to its 3D models resulting in some bizarre photographic effects. Personally, I think an alternate dimension setting where these conditions actually apply might be in order. See more here! Over on the ancient-origins.net website, there is a recent article titled "A 1,800-year-old ring and the curse of the ‘evil eye.’" See more here! 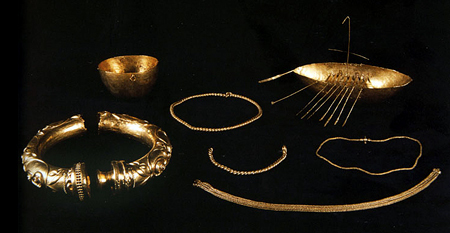 If you're not familiar with the Broighter Hoard, have a look as inspiration to detailing treasures in your game. See more here! And while you're there, follow the link to a list of hoards in Ireland here! This might help some folks in describing what a lightning bolt fight might look like. Read more here and enjoy! A friend of mine pointed out a particularly interesting Wiki page, particularly for tabletop setting creators, that is. Check out the Timeline of the Far Future here! Scorpions have a long history, a wide range, and can be very deadly, but there is one that is the deadliest of all. National Geographic has a new video on their YouTube channel with some basics and some particular details well worth knowing. Enjoy! Looking for a little undersea inspiration? Go check out the Okeanos Explorer project as they map portions of the ocean floor before August 17th, as they will even have some live streaming video of their undersea explorations as well as some specially selected recorded footage. See more here! An explorer and bug enthusiast searched for and found the largest Weta ever recorded in New Zealand. Read more here! Over on altering-perspectives.com, there is a recent article titled "10 Real Sea Creatures Directly From Your Nightmares" though I give fair warning that some of the language used might offend. See more here! Over on the NBCNews.com website is an article highlighting a very solid type of shelter that might work well as a staple in many futuristic setting for tabletop games. 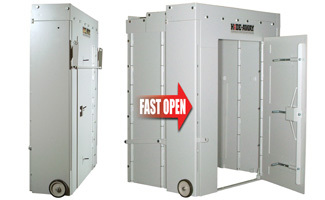 They are Hide-Away Storm Shelters but made with heavy steel ready to withstand high caliber bullets. Read more here and here! There is a very informative video on the Nero Claudius YouTube channel from a couple of years ago titled "Iberians in the Army of Hannibal Barca." Be prepared to pause it for easier reading. Enjoy! On the Archaeology Magazine website, an article from a couple months ago looks at some ships found that might suggest Vikings got an earlier start than originally thought. Read more here! 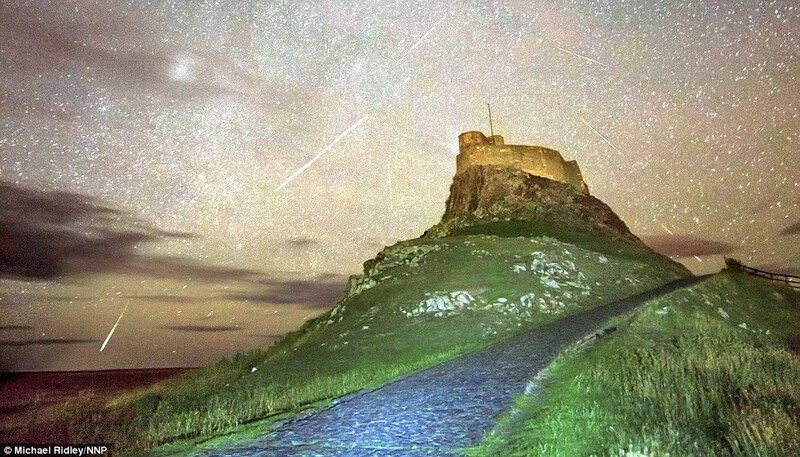 There is an event coming up that happens about every eleven years where there magnetic field of the sun flips its poles. Might make for an interesting scenario to add to a scifi tabletop roleplaying game. Read more here! There is a new video on the National Geographic YouTube channel titled "Understanding the Lives of Lions." Enjoy! There is some fantastic Aboriginal rock art depicting what is thought to be some of the first European arrivals featured in an article on AustralianGeographic.com.AU that is quite amazing. See and read more about it more here! 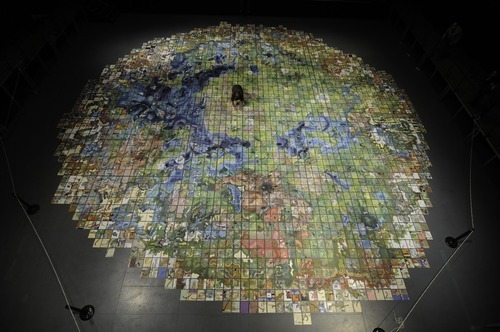 A recent article on Scotsman.com features information on the Leonardo da Vinci drawings on display in Edinburgh. If you're looking for some inspiration to add a genius NPC to your tabletop roleplaying setting, look no further. See more here! Over on the National Geographic YouTube channel there is a recently uploaded video discussing "Sociable Sharks" and some unusual behavior captured on film. Enjoy! The Live Science website has a new article on a 1,300 year old Peruvian shield with feathers on it. Read more here! 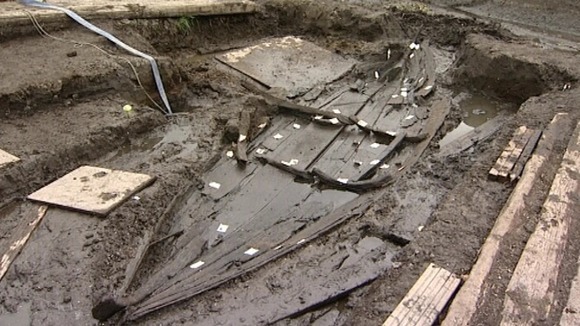 ITV.com has a new article titled "Medieval boat discovered in Norfolk marshland" that is worth checking out. Read more here!